So, Shan and I continue on our quest to track Wassersuppen immigrants to St. Paul. We continue to search for new documents, new contacts, and new research. We received some great feedback and tips from the last blog. Thanks to all who have found the blogs in the past and took the time to respond. 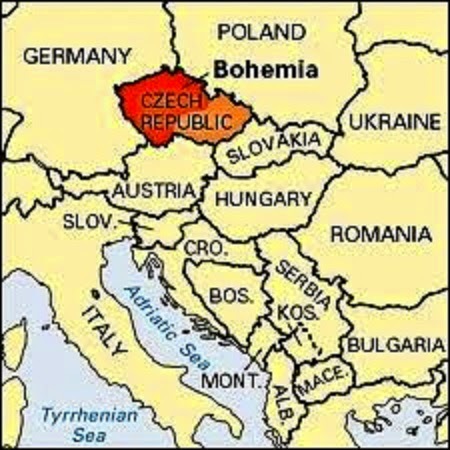 We have been struggling with the complicated history of Bohemia and the Bohemian world of the Kumschiers, their family and neighbors. We will use the German spelling of the name as Kumschier. (variants in America Kumsher, Kunschier, Kunshier, Kundschier) We are looking for reasons why some of the family left for America and some decided to stay behind. They are all the same people. The history of this part of Europe is incredibly complex. 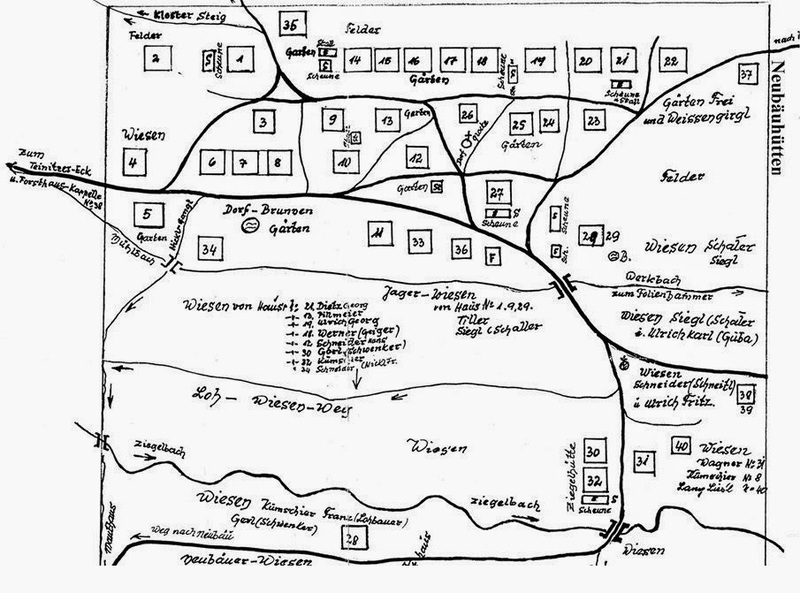 Events happened daily that impacted Kumschier lives in the little valley around Wassersuppen, Bohemia. Trying to keep dates, and names, and wars, and their movements in our heads became mind boggling. 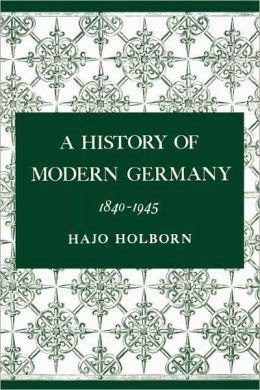 We decided that the only way to try to understand the sequence of events and the governments under which they lived – the Holy Roman Empire, the Habsburg Empire, the Austro-Hungarian Empire, was to create a Time Line. This is often what is recommended for genealogists. We tried our best to pull together a list of events that we thought had a bearing on our genealogical research. The Time Line proved to be very interesting and helpful to us, but it didn't seem to fit into the format of this blog. It covers over 800 years and 8 pages. Therefore contact us and we would be happy to share our Time Line with anybody who is interested. We would also be interested in your reactions. Contact us at glaevebooks@aol.com with your email address and we will send it to you as an attachment. It struck us, how incredibly lucky we are to have ANY documents that shed light on the family's history. 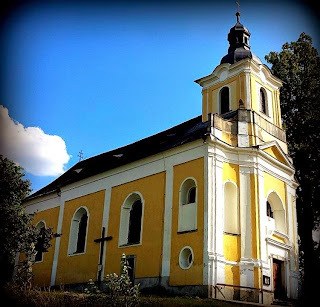 How the Catholic Church Registers in the Czech National Archives survived to be digitized and on the Internet is a miracle. We are very grateful to the Czech Republic for making these invaluable records so readily available. 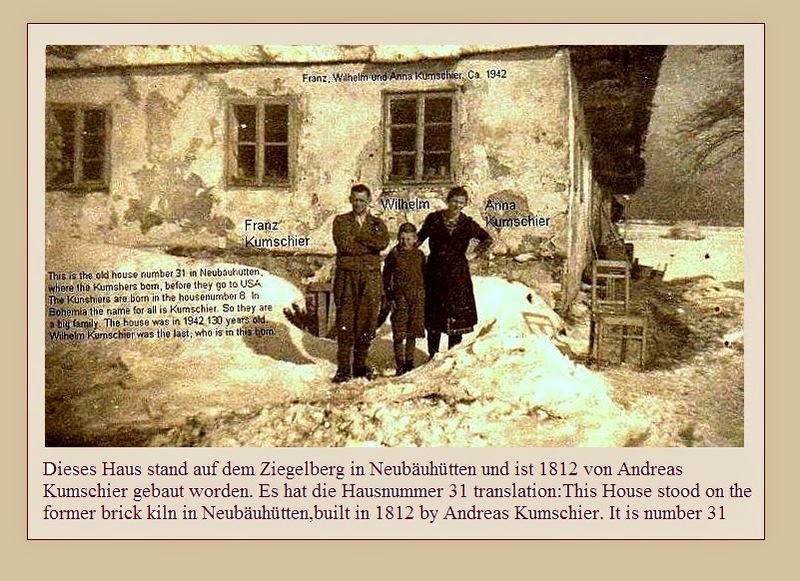 Since early 1800's the Kunshiers (Kumschiers) lived in Neubäuhütten (Novosedelské Hutě), a small town in the parish of Wassersuppen (Nemanice) and the District of Taus (Domažlice), Bohemia. 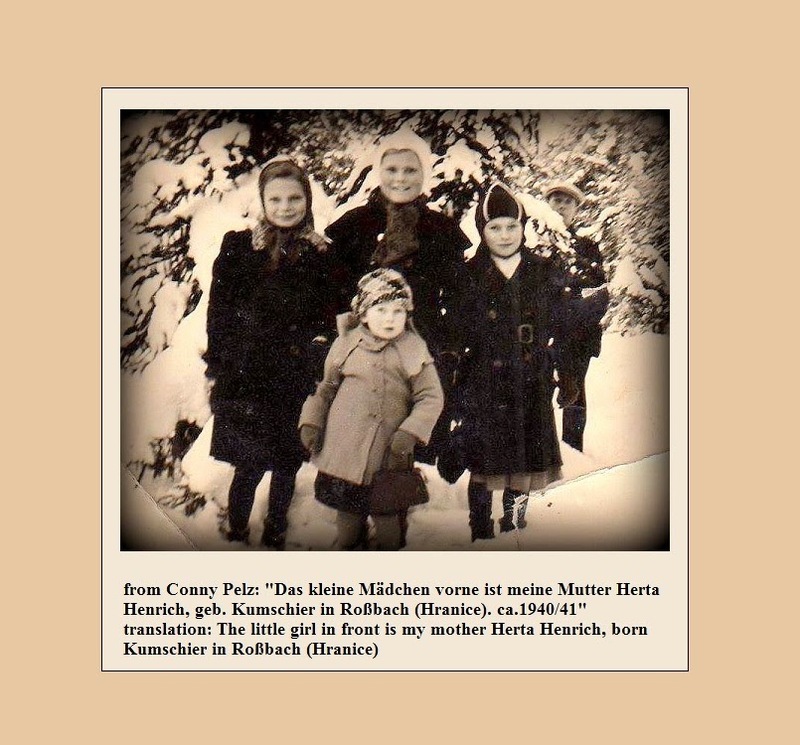 14 Ulrich Karl Gfreitn Franz, früher: Hartl M.
Conny has posted a number of her family photos on the FaceBooksite Big family with Kumschier, Kumsher, Kunshier, Konschier. The following are two of her photos. 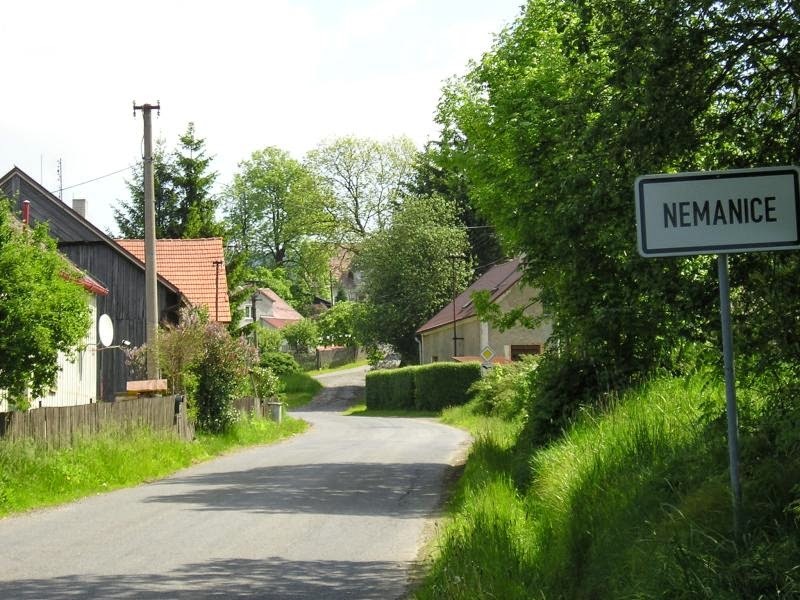 (From Conny Pelz) "In Neubäuhütten there was no school and no church. The children must all go to Wassersuppen for school. The people also had to go to church in Wassersuppen. That was 2 or 3 miles from Neubäuhütten. 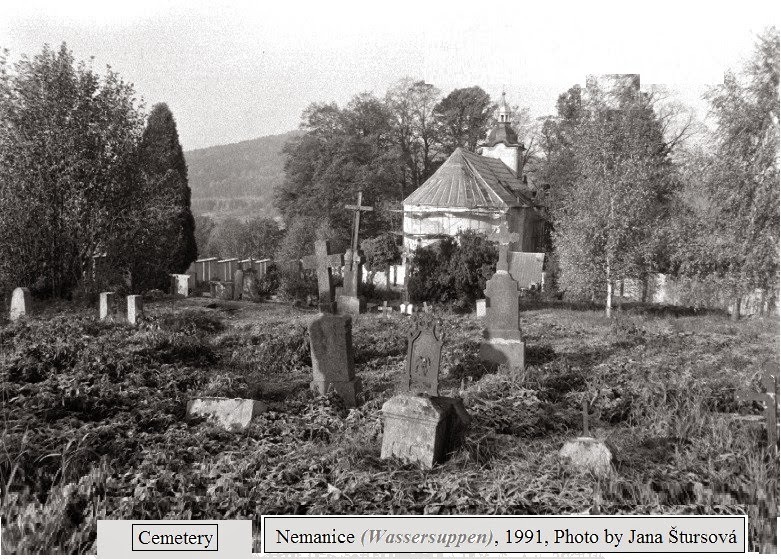 After all Germans were expelled from the Czech zone there was no care taken of the church and the cemetery. It was sometimes used as a cattle shed and was ruined. The cemetery was not mowed and no one took care of the graves of relatives. No one was allowed across the border. There was something like an iron curtain. Later, when the border was opened in 1989 and people were allowed back in the old area of the Sudetenland, a cousin of my mother's, Josef Dirscher from Munich, gathered together his friends. And with donations and a lot of work, the church in Wassersuppen was renovated. Today services for the Germans are being held once or twice a month. Then 2 times a year a meeting of the Sudeten Germans is held there organized by Josef Dirscherl." The valley of Nemanice and all the nearby villages were first purged of German occupants, and then leveled or at best, reduced to barracks for Soviet soldiers patrolling the borders along the Iron Curtain between the Czechoslovakia and Bavaria. What is seen today in Nemanice is the aftermath of both the Sudeten expulsion and the Soviet occupation. This is why there are no family members still living in the Czech Republic. As can be seen from many current photos, many of the buildings are in poor condition. Some seem to be beyond repair. For Google Map street views see (here). During the occupation by the Soviets, the Wassersuppen church, The Church of Saint John of Nepomuk, was used as a barn. After the Soviets left the Czech Republic in 1991, the church was restored. We will list only a few of the books that we found to be helpful. Of the personal stories which are set in those perilous times, we suggest Madeleine Albright's memoir, Prague Winter (2012 HarperCollins, NY) was informative and, we think, fair-minded. Albright (née Korbelová) was born in Prague, Czechoslovakia, in 1937. Her father, Josef Korbel, was a Czech diplomat and democrat who fled to Great Britain with his family following the Nazi invasion of Czechoslovakia in 1938. 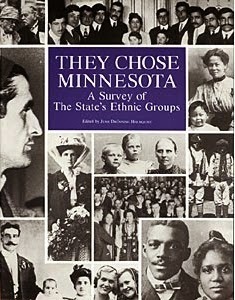 Another personal story is told by Erika C. Stevenson who was born in Bohemia and grew up in Germany. She was just six years old when, after World War II, soldiers expelled more than three million Sudeten Germans from their ancestral homes. 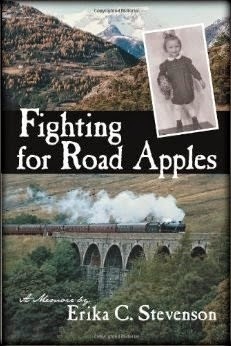 Her memoir is Fighting for Road Apples (2012, iUniverse, Bloomington, IN). There are many other stories, including that of my cousin, Conny (Kornelia) Pelz, the founder of the Facebook site Big family with Kumschier, Kumsher, Kunshier, Konschier. Conny's mother's family was among those turned out of the country with 24 hours notice in 1946. Conny's quest to find Kumschiers is fueled by these stories.